are shown here with the savings pass books, given to them. 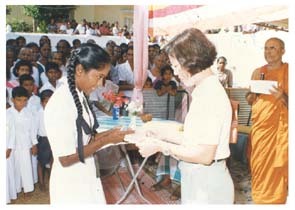 The objective of the project is to provide financial support for the poor and unfortunate children in Sri Lanka. 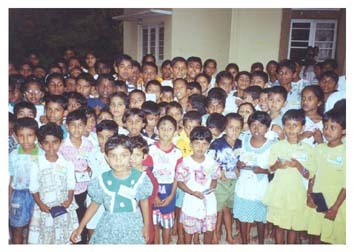 Over two hundred children in Sri Lanka, benefit from this on- going Foster Parent Programme. SBMC is looking for sponsors to donate S$ 320/- per year for each child. The donation is to provide food, clothing, medical care and education for the children. 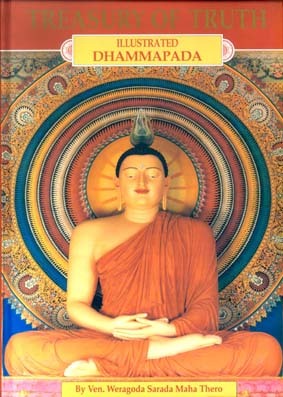 A home for the aged, to accommodate 70 senior citizens, both lay and clergy is being built in Sri Lanka under the direct sponsorship of the Singapore Buddhist Meditation Centre. This home for the aged will be equipped with most advanced facilities, to cater to all the needs of the senior citizens. The home is planned to enable the senior citizens to spend their sunset years in a calm, serene and tranquil atmosphere. The unique feature of this home is the accommodation provided for senior monks who have no permanent residence to spend their old age. 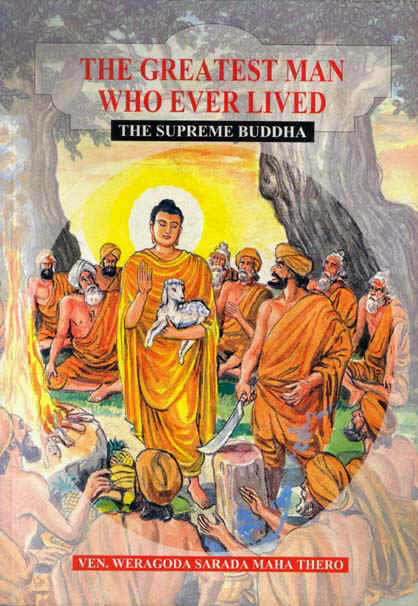 While pursuing their religious practices, they can counsel the lay devotees in matters relating to Dhamma. Looking after the senior citizens, is a tremendous human responsibility for the moderns. 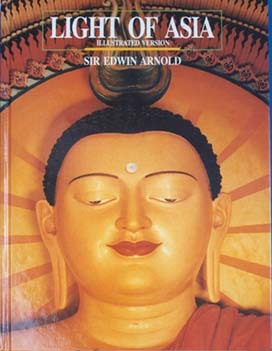 Therefore devotees could contribute to this project generously to acquire merit for themselves or to transfer merit to anyone they wish. Providing this project is not only a religious responsibility but is also a prime social obligation, in our time. Members of SBMC offering red-packets to senior citizens. An important item in the SBMC agenda is the visiting of elderly citizens in old folks homes. SBMC devotees accumulate much merit through such activities. During such visits SBMC offers medicinal and food items to the senior citizens. In addition gifts including red - packets are presented to these senior citizens. For our major functions senior citizens are specifically invited and food and entertainment are provided for them. 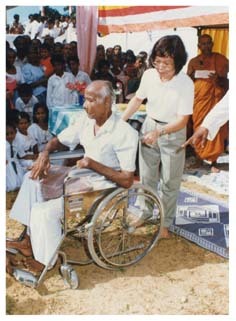 As a regular feature SBMC provides wheelchairs and crutches to the Disabled. Ven. 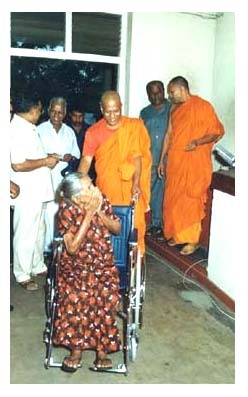 Weragoda Sarada Marha Thero donate wheelchair to elderly lady. 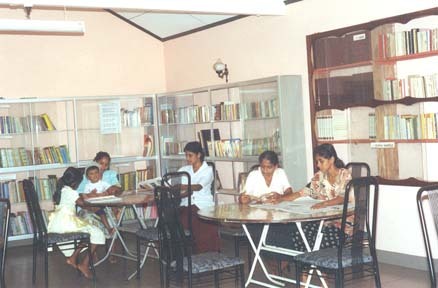 Library services, computer classes, grants, scholarships & uniform materials are provided as part of SBMC Foster Parent Project to needy children in Sri Lanka..
Children utilizing library sponsored by SBMC, at Jayanthi Vihara Weragoda, Sri Lanka. 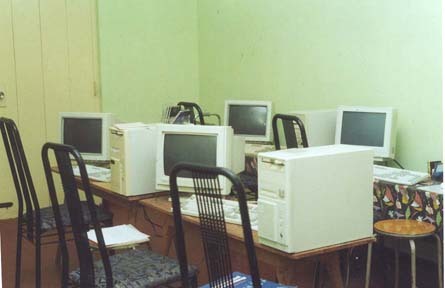 Computers donated by SBMC, to improve skills of children.